At Hammond Aesthetic & General Dentistry we know that many Provo children fear going to the dentist. 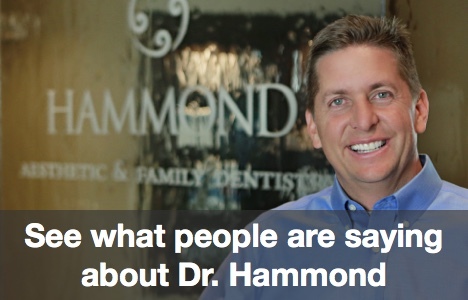 We are Dr. Hammond and we at Hammond Aesthetic & General Dentistry want to make your child’s first visit to our Provo practice a positive experience. Regular dental check-ups from toddler age are an essential part of oral hygiene. Utah parents can follow these guidelines to help prepare their child for a dental visit. It is important for parents to make sure they aren’t anxious about Provo dental visits because children can sense their stress. At Hammond Aesthetic & General Dentistry we have been treating children and adults since 1967. 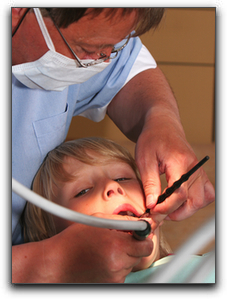 Our professional, friendly staff can calm the nerves of a fearful child and help them have a gentle dental experience. If you or your Provo child has had a bad dental experience or is unable to stay calm while visiting the dentist, ask us about sedation dentistry. We want all of our patients to feel as comfortable and relaxed as possible while receiving excellent dental care. For simple dental procedures topical anesthetics are applied to the gums and other tissues reducing oral sensation. If you require more sedation, nitrous oxide and general anesthesia are safe solutions. Hammond Aesthetic & General Dentistry also offers complete smile makeovers which may include dental implants, teeth whitening, dental veneers, or any other cosmetic dental procedures required. All of these can be done with some type of sedation if required. Don’t let your fears or your child’s fears keep your child from having a beautiful, healthy smile. Contact Hammond Aesthetic & General Dentistry today!